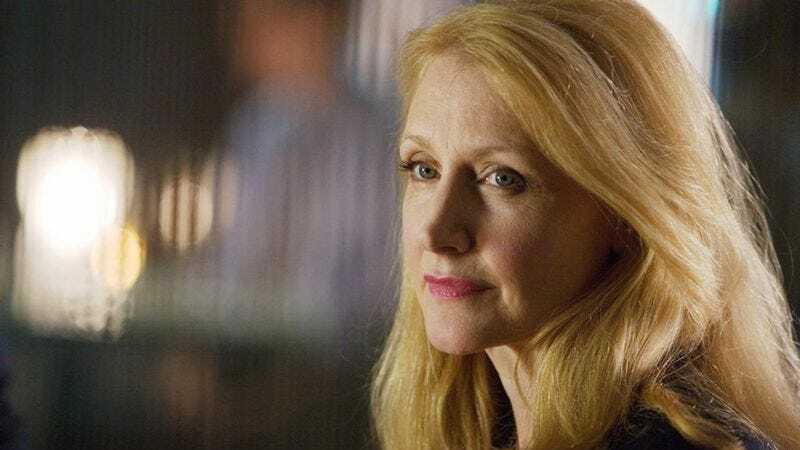 Actress Patricia Clarkson has done her share of television; heck, before breaking through as a film actress in the late 1990s, she even co-starred in a network legal drama, the short-lived, ahead-of-its-time Murder One. But the small-screen part of her career is almost entirely defined by one Emmy-winning guest star role: Sarah O’Connor, the Vicodin-addicted “cool aunt” she portrayed on seven episodes of HBO’s Six Feet Under. Clarkson will be returning to the premium cable network for an eight-episode miniseries based on Gillian Flynn’s 2006 debut novel, Sharp Objects. The series has been in the works since before the release of the David Fincher-directed Flynn adaptation Gone Girl. HBO is said to have outbid Netflix for the project last year. Anyway, happy International Women’s Day. UnREAL co-creator Marti Noxon will serve as Sharp Objects’ executive producer, while Jean-Marc Vallée (Dallas Buyers Club, Demolition) is set to direct all of the episodes.